Had one of our guest viewers contact me yesterday and asked if i knew where she could get a copy of the old film that was made in Hunstanton starring Alec Guinness from locally. Any suggestions? Thanks for that Choks, but i've had a look at all the web sites and the lady wants to try and buy one locally. I think Blockbusters video will get one in for her but not sure. Pity we can't buy them from a Estate Agent or a Bank because thats all the town seems to be made up of now. Seeing as it was shot in Hunstanton I would like a copy but I ain't paying that. 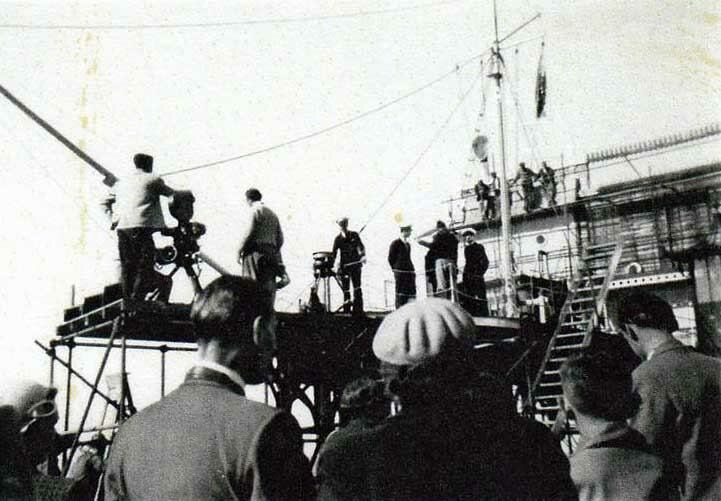 Scene from the film on Hunstanton pier. Does the lady want dvd or video-tape? HMV have the dvd online for £9.99 . HMV on the high street could probably order it in but I don't know if it'd be the same price. I think it's the film my aunt was in as an extra.